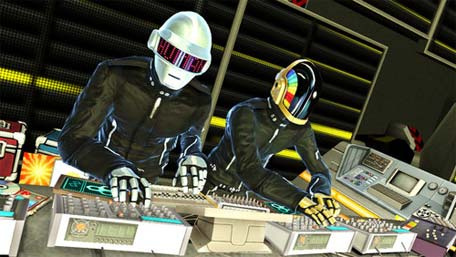 PushSquare's Playstation Pick Of The Week: DJ Hero. Ok, so it's really expensive, but it's crammed to the rafters with music you should like, and the gameplay genuinely looks like a lot of fun.Plus it has Daft Punk in it. Come on guys, Daft Punk! Have a heart. The Iron Fist Tournament returns in both Europe and America, with the return of Tekken in Tekken 6. Insomniac Games' lovable duo Ratchet & Clank return to the USA with A Crack In Time on Tuesday. And finally LocoRoco Midnight Carnival hits the American Playstation Network for just $14.99 this Thursday.